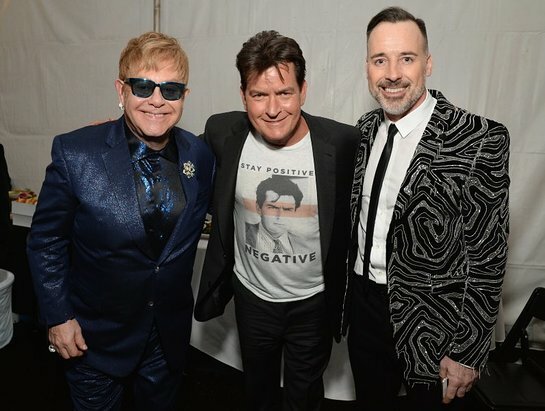 The 24th annual Elton John AIDS Foundation Academy Awards Viewing Party hosted by Sir Elton John and David Furnish raised over $6.2 million for the fight against HIV/AIDS. The gala, which took place on Sunday, February 28, at West Hollywood Park in Los Angeles, was generously sponsored by BVLGARI, M∙A∙C Cosmetics, and Neuro Drinks and Diana Jenkins. 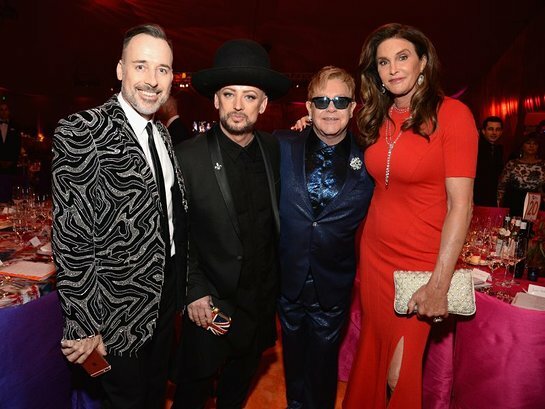 Attendees included Elton John and David Furnish, Andie MacDowell, Andreja Pejic, Andrew Rannells, Anthony Anderson, Ashlee Simpson, Ashley Greene, Ashley Tisdale, Beck, Bellamy Young, Boy George, Brandy, Brittany Snow, Caitlyn Jenner, Caity Lotz, Camilla Luddington, Cara Santana, Carson Kressley, Charlie Sheen, Charlotte McKinney, Cheyenne Jackson, Chris Hardwick, Dave Grohl, Dave Navarro, Dita Von Teese, Duff McKagan, Emily Ratajkowski, Eric McCormack, Erika Christensen, Evan Ross, Gordon Ramsay, Hailey Baldwin, Harry Shum, Jr., Heidi Klum, Hilary Swank, Ian Somerhalder, Jacob Tremblay, Jamie Kennedy, Jeffrey Tambor, Jesse Metcalfe, Karrueche Tran, Katrina Bowden, Keegan-Michael Key, Kelly Osbourne, Kelly Rowland, La La Anthony, Lana Del Rey, Lea Michele, Lydia Hearst, Maggie Grace, Mariah Carey, Martha Hunt, Mary J. Blige, Matt Sorum, Matthew Morrison, Melanie Griffith, Mena Suvari, Nikki Reed, Robert Kraft, Russell Simmons, Sarah Hyland, Serayah, Sheryl Crow, Sofia Milos, Steve Nash, Steven Tyler, Tamera Mowry, Tim Allen, Tommy Hilfiger, Tracee Ellis Ross, Trey Parker, Verdine White, Vicky Jeudy, Vince Vaughn, Willa Holland, Zac Posen, and Zooey Deschanel, among others. Guests arrived at the Academy Awards Viewing Party for cocktails followed by a gala dinner and viewing of the 88th Academy Awards telecast. For a fourth consecutive year, Chef Gordon Ramsay, British celebrity chef, television personality, restaurateur, and holder of 14 Michelin stars, prepared an exquisite five-course meal for guests. The dinner was followed by a lively auction conducted by Alexander Gilkes of Paddle8 and featured a Mariah Robertson artwork, a stunning BVLGARI Serpenti 18 kt white gold full pavé diamond necklace, a five-day vacation at Steven Tyler’s Hawaiian retreat, four unique crystal sculptures from the Elton John Music Is Love for Lalique collection, tickets to the exclusive Vanity Fair Oscar Party later that evening, and a surprise auction lot donated by Lady Gaga – the “other halves” of the mismatched patriotic Gucci shoes she wore to sing the National Anthem at the Super Bowl. Following the auction, Elton John and his band took the stage for a memorable performance of some of his greatest hits, including several numbers from Elton’s new album Wonderful Crazy Night, co-produced by Elton and the legendary T-Bone Burnett with lyrics by Bernie Taupin. Audi, BBVA Compass, TheBLUEFISH, and StyleHaul partnered with EJAF as the evening’s Co-Sponsors, and Ron Burkle, DDG Foundation, Fin Gray and Michael Melnick, The Hollywood Reporter and Motsepe Foundation were Associate Sponsors. The Foundation is especially grateful to the City of West Hollywood for continued collaboration with EJAF on shared goals. American Airlines is EJAF’s official airline. 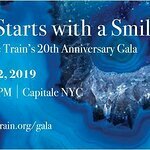 In his remarks, EJAF Founder Elton John thanked his guests for enthusiastically participating in an audience participation feature, which enabled guests to make gifts to the Foundation on the spot using their cell phones. Throughout the evening, a video message from EJAF supporter Samuel L. Jackson as well as live messages from EJAF friends Matthew Morrison, Jeffrey Tambor, Cheyenne Jackson, and Lea Michele encouraged guests to text in pledges to support the Foundation’s urgent mission. The EJAF is deeply grateful for the wonderful volunteer leadership of their Event chairs Tim and Jane Allen, Beck, Boy George, Naomi Campbell, Jim Carrey, Ciara, Chris Colfer, Ellen DeGeneres and Portia de Rossi, John Demsey, Zooey Deschanel, Jennifer Kelly Dominiquini, Roland Emmerich, Stéphane Gerschel, Neil Patrick Harris and David Burtka, Debbie Harry, Stephanie Horbaczewski, Samuel L. Jackson, Diana Jenkins, Caitlyn Jenner, Quincy Jones, Nicole Kidman and Keith Urban, Billie Jean King and Ilana Kloss, Heidi Klum, Ryan Kwanten, Fred Latsko, Shelley Lazar, Sandra Lee, Rob and Sheryl Lowe, Eric and Janet McCormack, Joe McMillan, Lea Michele, Matthew Morrison, Sharon and Ozzy Osbourne, Katy Perry, Tyler Perry, Adam Press, Andrew Rannells, Smokey and Frances Robinson, Zoe Saldana, Steve Sims, Britney Spears, Sharon Stone, Jeffrey Tambor, Steven Tyler, Denzel and Pauletta Washington, and Allison Williams.